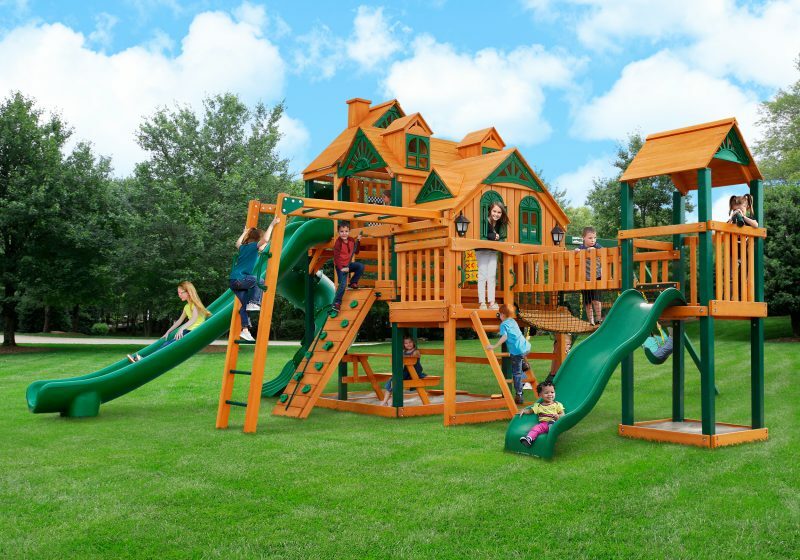 The newest models from Gorilla Playsets, the Empire and Empire Extreme are massive playsets that are sure to provide hours of fun for the kids in your family. 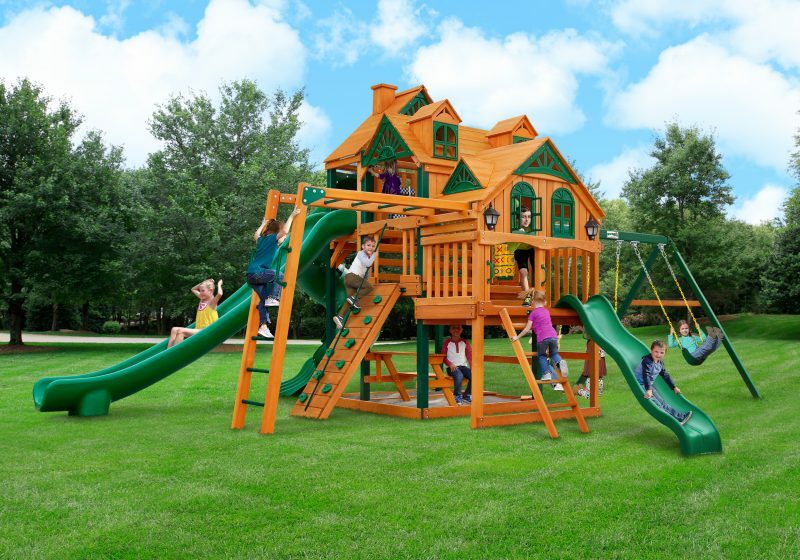 They have everything kids could possibly want in a swing set from multiple slides, a three-level clubhouse, and tons of imaginative play features. Read below for more details regarding each playset as well as more information on buying and installing a Gorilla playset. 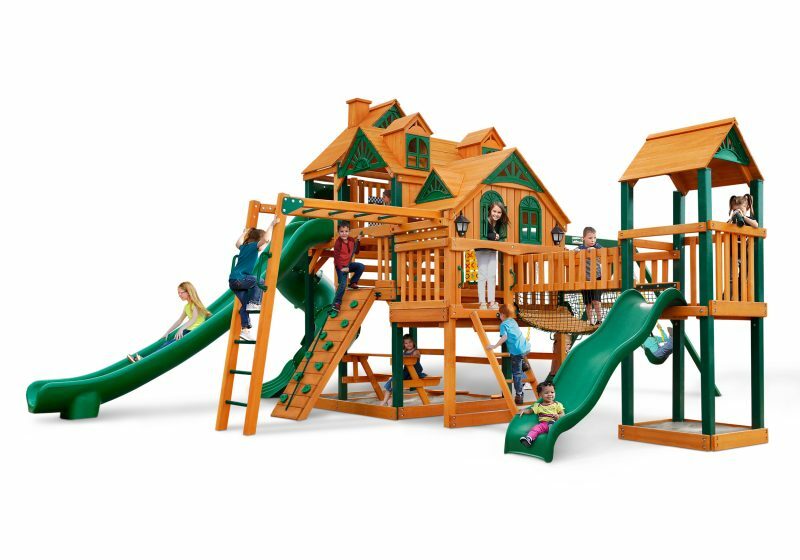 Definitely not designed for a small backyard, you will want to have plenty of space for the huge Gorilla Playsets Empire swing set. 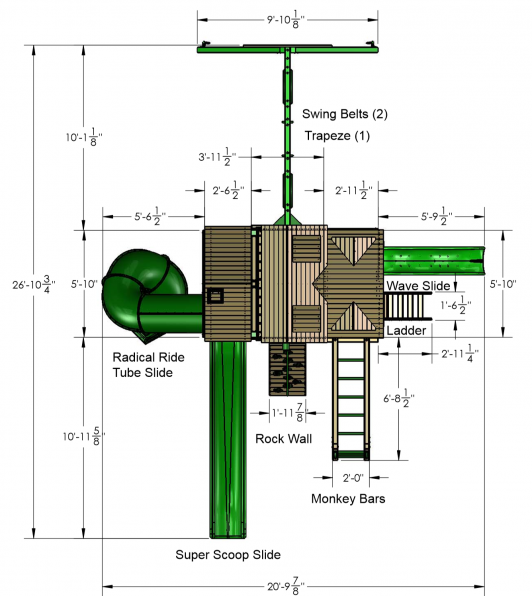 Unlike any other Gorilla swing set the Empire has an elevated clubhouse that is comprised of 3 different levels. The first deck sits at 4 feet high and is semi-enclosed with two working windows that allow kids to look out over the rest of the play area. Up next is a 5-foot-high deck where kids can access the rock wall and some imaginative play features. Finally, up a couple more steps is the 7 foot high deck where kids can access the super scoop slide and more fun play features. The whole clubhouse is covered by a tongue and groove wood roof that is adorned with dormers, sunburst designs at each peak and a chimney. The front of the clubhouse features two solar wall lights. There are three slides included with this great playset. The Wiki Wave slide, which is approximately 8 feet long comes off the front of the playset attached to the 4-foot-high play deck. The 7-foot-high play deck gives access to two slides including the 7’ Radical Ride Tube Slide on the back and the 14’ long Super Scoop slide off the left side. Getting exercise will be a blast on the Empire with three different climbing features to choose from. 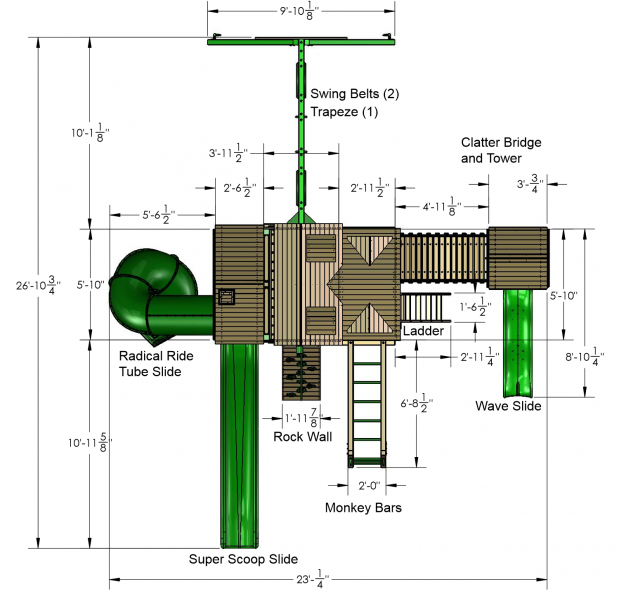 The monkey bars on the left side are built with heavy-duty metal rungs both for climbing up and swinging across. The clubhouse can be reached using with the standard safety ladder or the rock climbing wall with green rocks and a climbing rope. The standard in all their wooden swing sets, the Empire comes with two belt swings in green with yellow coated chains. The trapeze swing has a bar and two rings to swing from and also has coated, yellow chains. While a swing set is a great way for kids to get exercise and build strength it can also be a great way to play together and use their imaginations. The Gorilla Playsets Empire includes several features that are great for building the imagination such as the play telescope, jumbo binoculars, and steering wheel that are perfect for the explorers. There is also a chalkboard kit for the more artistic and a tic-tac-toe panel for the competitors. The built-in sandbox area underneath the play deck comes with corner seats where they can sit and dig. And when it’s time for a rest or an afternoon snack, the built-in picnic table is the perfect location. Gorilla Playsets prides itself on providing safe and durable swing sets for children and their families. The Empire is no exception with its 4×4 solid wood framing and 4×4 posts and main beams to keep the swing set sturdy while kids play. The 4×6 swing beam is also designed to hold up to 3 kids swinging at once with no worries of cracking or breaking. 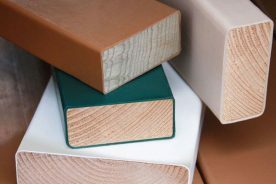 In addition, all of the wood is pre-stained so that it is resistant to rot, decay, and insect damage, keeping safe and sturdy for many years. The Timber Shield™ coating on all the main beams, most posts, and the swing beam is a feature that makes the swing set more weather resistant and also keep wood from cracking or peeling, which could cause splinters or cuts if kids rub against the beams. As an added safety feature all climbing apparatuses are equipped with grab handles to assist kids while they climb. How big is the Gorilla Playsets Empire? The Empire swing set is one of the largest that Gorilla has ever produced. When it is all set up it covers over 560 square feet with a width of 27’ and a length of 21’. Its total height is just over 13 feet tall from ground to the top of the tallest roof. The swing beam is 7 feet, 7 ½ inches tall. It is recommended, when constructing the swing set in your backyard, that you leave a 6-foot safety zone around the entire play set, including keeping the top of the playset 6 feet from any power lines or low hanging tree branches. When you order this playset all its parts will come in 13 different boxes. Everything you need will be included except for the sand in the sandbox area. The shipping weight of the Empire is 1,562 pounds. Just a little bit bigger than the Gorilla Empire, the Empire Extreme is another new addition to the line of quality playsets. Everything that you read about above in the Gorilla Playsets Empire review is also included in the Empire Extreme. You can see those features again in the list below. The thing that makes it a bit bigger and more attractive is the additional tower that is connected by the exciting clatter bridge. Kids will love racing across the bridge as it bounces and sways where they’ll find another tower with a wood roof and access to the wave slide. The tower also includes an area below for a sandbox and safety nets to protect your kids from falls. How big is the Gorilla Playsets Empire Extreme? The size of the Empire Extreme is also very similar to the Empire. While at first it seems its length would be a lot more because of the additional bridge and tower, these sections simply replace the length of the wave slide so it is only an additional 2 feet long. 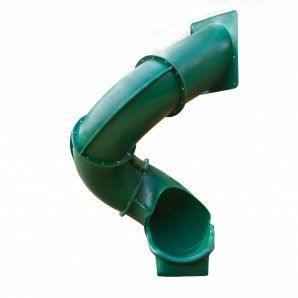 The wave slide then goes off to the left side instead of the front, which does not add any extra length to the swing set’s width. Square footage of this swing set is just over 620 square feet with a width of 27 feet and a length of 23 feet. The height is 13 feet, 1 5/8 inches overall, with a swing beam height of 7’ 7 ½”. 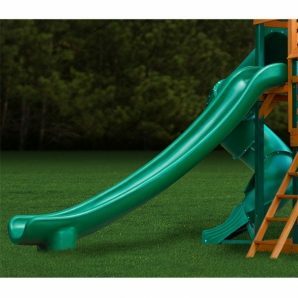 Again, while it is not required, it is recommended that you leave a 6-foot safety area around the entire play set’s perimeter especially on the sides where kids will be swinging and coming off the end of a slide. 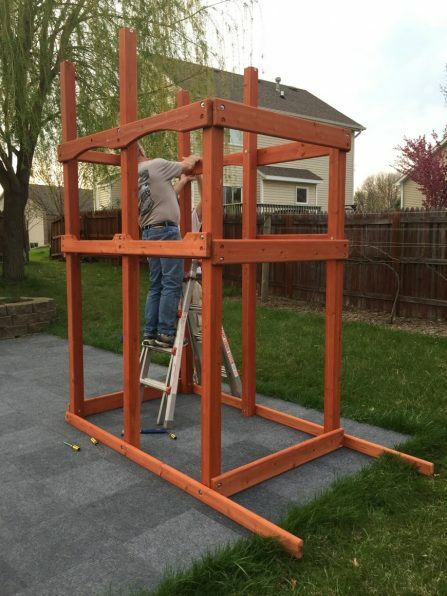 When ordering the Empire Extreme, you can expect it arrive via a freight truck that will unload a pallet with 16 boxes that include everything you need to construct the swing set. The shipping weight is approximately 1,814 pounds. 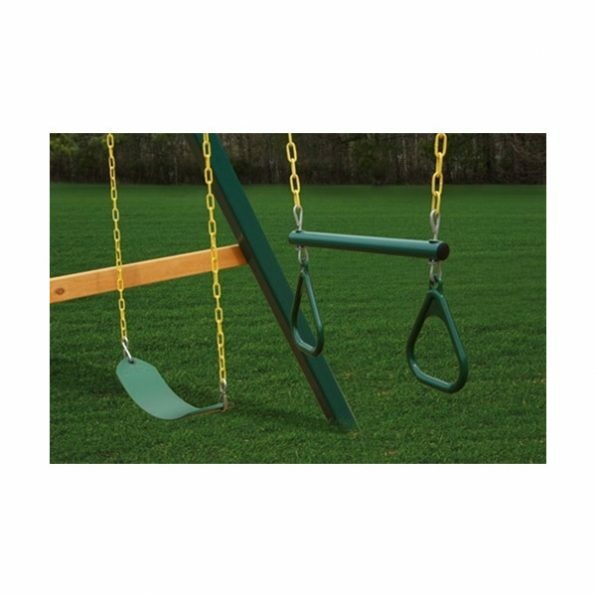 What size kids can use these swing sets? Most of Gorilla’s playsets are designed to be used by children who are 3 years of age through 11 years old. However, as long as weight and safety recommendations are followed there is no reason why older kids or even adults couldn’t partake in the fun of the Empire or Empire Extreme. Up to 7 total children can use the swing sets at one time but their total combined weight should not exceed 1,225 pounds. This weight recommendation accounts for 800 pounds or, 4 occupants, on the play decks and 425 pounds, or 3 occupants, on the three swings. Individual play features are also designed for kids of different sizes. Each swing belt can hold 225 pounds, however swing belt positions should only be loaded with a maximum weight of 150 pounds. If only one child is swinging this weight could be more. The trapeze swing is designed to hold 125 pounds. Each of the 3 slides has a maximum weight rating of 150 pounds. Individuals who use the monkey bars should not exceed 175 pounds while the rock wall is rated at 150 pounds. 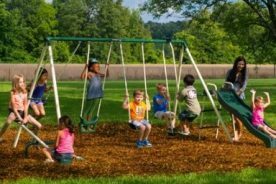 While most younger children who will be using these swing sets will not have a problem exceeding these weight recommendations, it is a good idea to take precautions if older children or adults will be participating in the swing set activities. 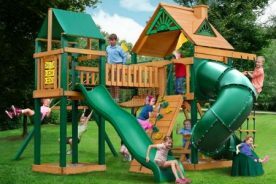 Although Gorilla playsets are designed to be durable and sturdy, misuse and avoidance of these recommendations could cause injuries or damage that will not be covered by warranties. Who can put the Empire swing sets together? All the Gorilla wooden swing sets are designed for do-it-yourself construction. So, if you have confidence following directions and using some basic tools, you should be able to put the Empire and Empire Extreme together in your own backyard. One thing that limits people from doing assembly on their own is the time it might take, and both of these swing sets can take anywhere from 20-26 hours to construct. The great things about these swing sets is that they come with everything you need to construct the set just as expected. All of the required lumber and hardware is included. The lumber also comes pre-cut, pre-sanded, and pre-stained with a beautiful amber finish. When constructing there is no question about which piece goes where. The main beams are even pre-drilled for your convenience. When you order one of these swing sets you will also get an assembly manual that lays out each step with detailed instructions and illustrations. The extensive parts list helps assure that you have every part you need before you begin construction. As long as you take the time to inventory your parts and compare them to this list you won’t be stuck in the middle of the project with something missing or damaged. Does Gorilla Playsets have a warranty? Yes, Gorilla Playsets do have a warranty. Their warranty covers any structural wood components for 10 years and all other parts such as swings, plastic parts, fabric tarps, rope ladders, and hardware for 1 year. It states that these parts will be “free from defects in workmanship and materials, under normal use and conditions”. There are some limits to this warranty and other terms that make it valid. 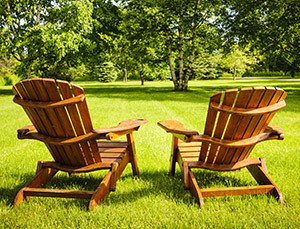 One of these terms is that the swing set or product can only be used for its designed purpose which is to be used in a residential, single-family setting. Using it in a commercial or multi-family setting will void the warranty. Limits to the warranty include normal wear and tear along with damages due to acts of God or nature. Negligence and misuse will also not be covered and products that have been modified or repaired by unauthorized individuals do not fall under the warranty either. It is important when installing the playset that you do so according to the provided instructions. Damage caused by faulty installation or wood rot from installation in an area with poor drainage are not covered under Gorilla’s warranty. Following the suggested maintenance instructions is also crucial as faded stain, imperfections, and damage caused by improper maintenance are also limits to this warranty. Where can I get one of these wooden Gorilla Playsets? 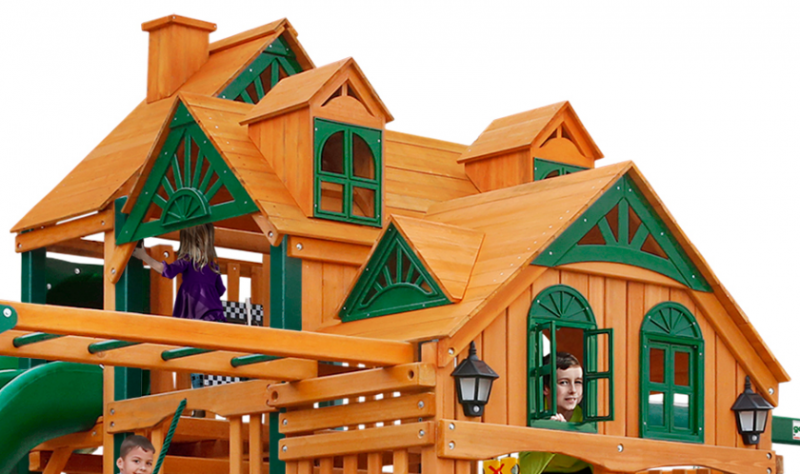 Gorilla Playsets are available to purchase at many online retailers. You can find both the Empire and the Empire Extreme directly on the manufacturer’s website where you can buy them along with the option for adding installation. Gorilla also charges a shipping fee which is dependent on your location. The Empire and Empire Extreme are also available from many online department stores such as Hayneedle, Walmart, and Amazon. 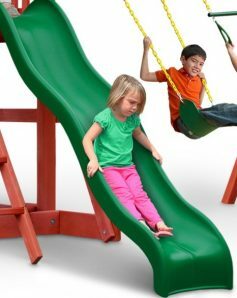 There are also many swing set stores, such as Totally Swing Sets, that specialize exclusively in the sales of playsets where you can typically find sales or free shipping. Some hardware and home stores such as Home Depot and Lowes also carry the Gorilla brand. 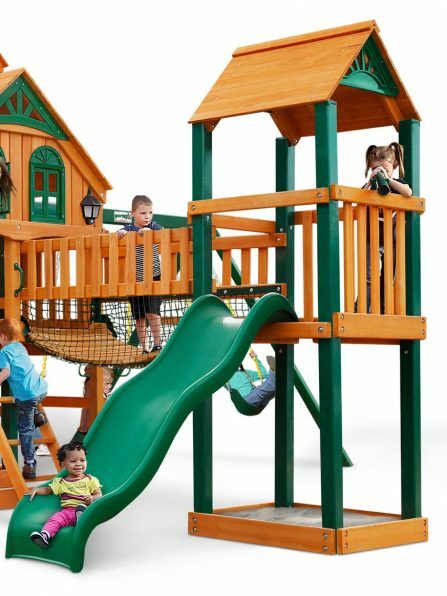 The Gorilla Playsets Empire sells for about $4,600 and the Empire Extreme is approximately $5,150. 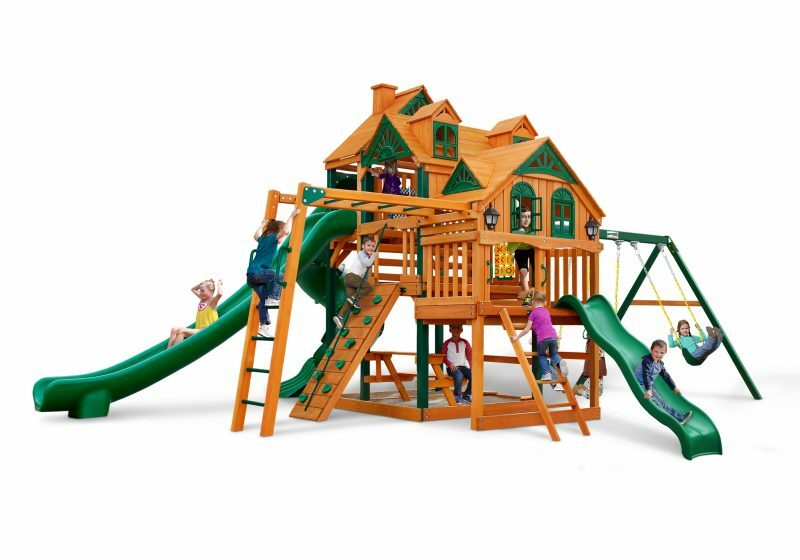 The Gorilla Playsets Empire and the Gorilla Playsets Empire Extreme are two quality playsets that are sure to provide hours of fun for children of all ages. If you are looking for a swing set that is loaded with nearly every feature you could want in a play area, then these are the ones for you. Remember that you will need a large backyard and kids who are ready to have the ultimate experience in a backyard playground.